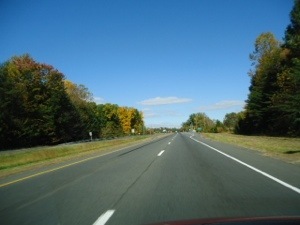 While driving to Woodbridge to chase a car, I noticed how beautifully the trees are changing their color. I was so busy looking that I almost went through a red light. Writing and uploading my report is a bit long-winded today since I'm using my iPad instead of my computer. 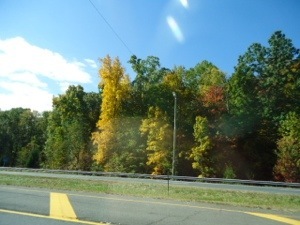 Luckily I have a gadget for my camera so that I can upload the photo to my iPad. I am taking the laptop to work this afternoon. Chuck, our resident guru the magnificent, is going to poke around in it to see what is wrong. I've got my fingers crossed.